Superdry men’s Military Storm hooded jacket. This military inspired jacket features a removable hood with a jersey insert, a front zip and button fastening and two front button fastened pockets. 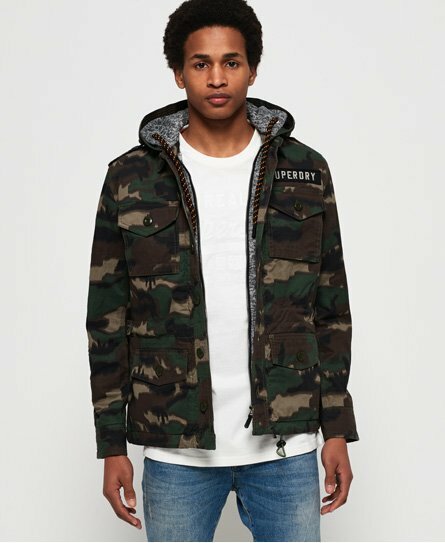 The Military Storm hooded jacket also features button cuffs, is fully quilt lined and has multiple applique Superdry logo badges. The jacket is finished with an embroidered Superdry logo on the hood.